Master baker and star of the number one hit show Cake Boss on TLC, Buddy Valastro, recently made an appearance at the Barnes & Noble Tidewater Community College bookstore in Norfolk, Virginia. 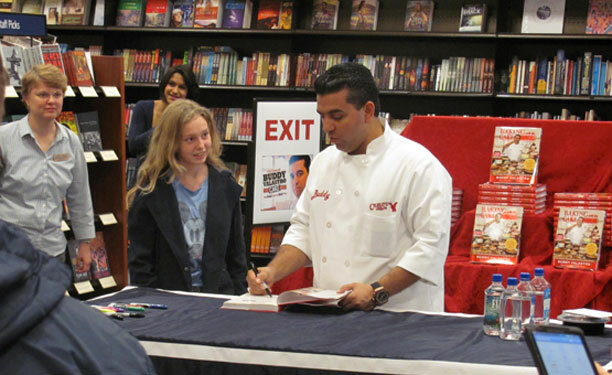 The reality star greeted fans and signed copies of his new book, Baking with the Cake Boss: 100 of Buddy’s Best Recipes and Decorating Secrets. Viewers have fallen in love with Valastro and his funny and fiery Italian family as they run Carlo’s Bakery in Hoboken, N.J. To coincide with the 100th anniversary of the famous bake shop, cake designer extraordinaire Valastro brings together his passion for baking and his entertaining family stories in this charming, heartwarming book. The excitement was palpable as fans from the school and local community waited in a line that stretched through the store and outside into the mall – all for a chance to meet their culinary hero. Many were children who have enjoyed his TV show, including one future “cake boss” who came dressed as a chef. Barnes & Noble has proudly managed two Tidewater Community College bookstores since 2006. 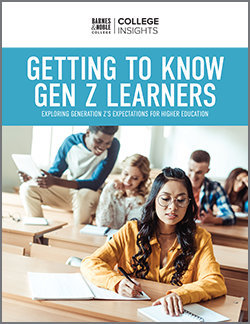 We promise unmatched retail excellence and to deliver the next-generation of educational content. 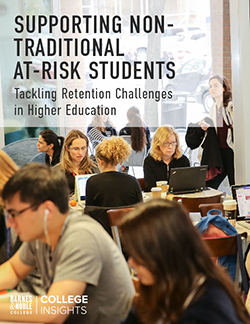 Is your bookstore a Barnes & Noble College bookstore? Visit bncollege.com to see a listing of our newest college partners.